Prosper was a small rural town on Preston Road in North Texas about 6 mi north of Frisco, but in recent years – true to its name – it has prospered. 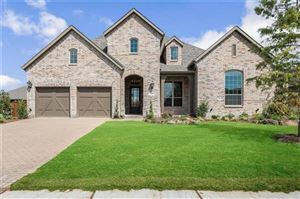 Prosper has maintained a spacious country feel while developing into an upscale suburb, with rolling terrain, many trees and large single-family-home lots. 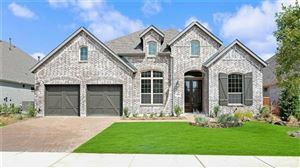 Prosper is growing rapidly in terms of new home building (single family houses in the $250,000 to $3,000,000 + range). In addition to a long-time retail filling station, in 2004 Prosper saw its second and third retail establishments arrive: a Sonic restaurant, and an Exxon "On the Run" station. Since 2004, Prosper has added a Palios, CVS, Ernestos, Subway and many other establishments. The Gates of Prosper is a luxury $500 million dollar Retail Development set to start construction in 2013. Many residents are professionals who commute to McKinney, Frisco, Plano, Dallas and neighboring communities. Prosper was named in the D Magazine 2010 Best Suburbs List as the 5th Best Suburb in the Dallas Metropolitan Area. Prosper High School cost $113.5 million to construct and is 590,000-square-feet, complete with a medical tech lab, a restaurant-worthy kitchen, a greenhouse, a broadcast studio and an indoor football practice facility. Prosper is home to numerous full-service equestrian farms. Each May, Prosper Founders Fest celebrates the history, people and arts. The event combines the Prosper Fire Department's IBCA-sanctioned Barbecue Cookoff, a 5K race through the Prosper area, an art show and music festival and a Sunday Family Fellowship. The Sunday event is unique in that 80% of Prosper families attend local churches. The Family Fellowship is a once-a-year opportunity for the Prosper community celebrate with music, kite-flying and picnics.